The holidays are such a fun time in the kitchen. There are so many occasions when you can bring out your favorite Christmas sweet treats to share with loved ones to a bit of holiday spirit. Whether it is the dessert table for Christmas day, your annual cookie swap, or a time to bring some treats to your child’s classroom, one of these delicious recipes will be the perfect choice. 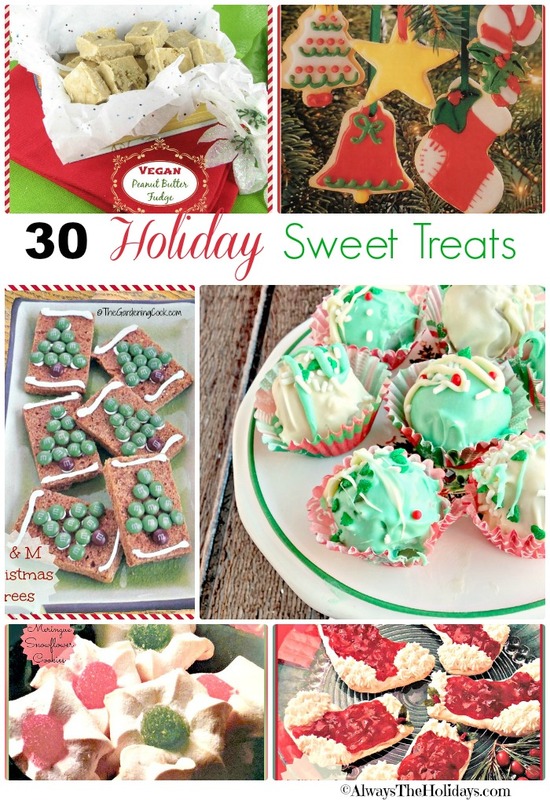 These are some of my favorite Christmas Sweet Treat recipes. Who doesn’t love a holiday candy cane? And it is even more special when you make this traditional shape into a delicious cookie for the holidays. 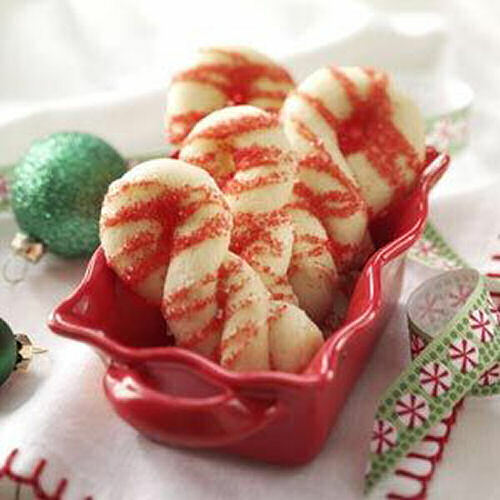 These candy cane cookies from Taste of Home will disappear in a flash this year! Hanging a candy cane on the Christmas tree is something that many people do. 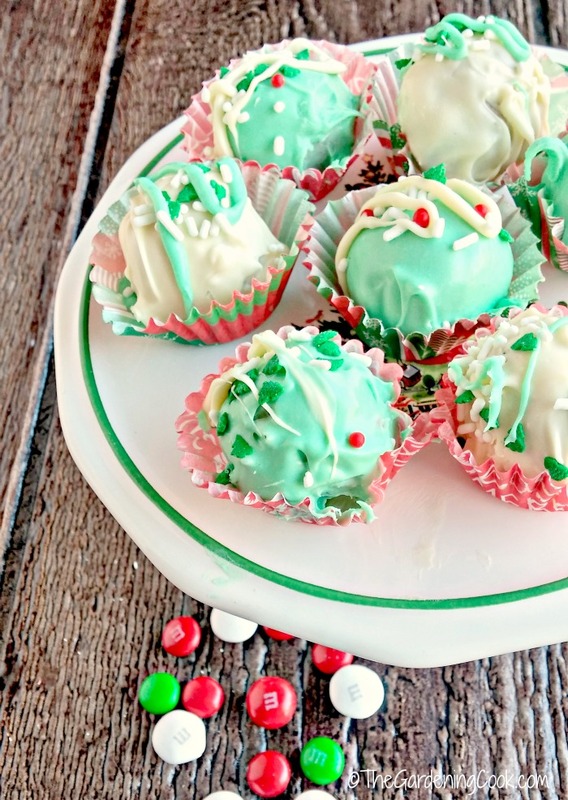 Instead, hang these Peppermint Rice Krispie Ball cookies on the edge of a cup of hot cocoa. They even have their own little peppermint stick handle! 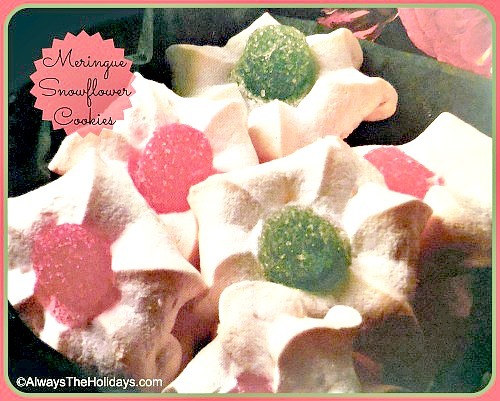 These meringue snow flower cookies have a melt in your mouth taste. The gum drops give them a lovely holiday flare. Get the recipe here. 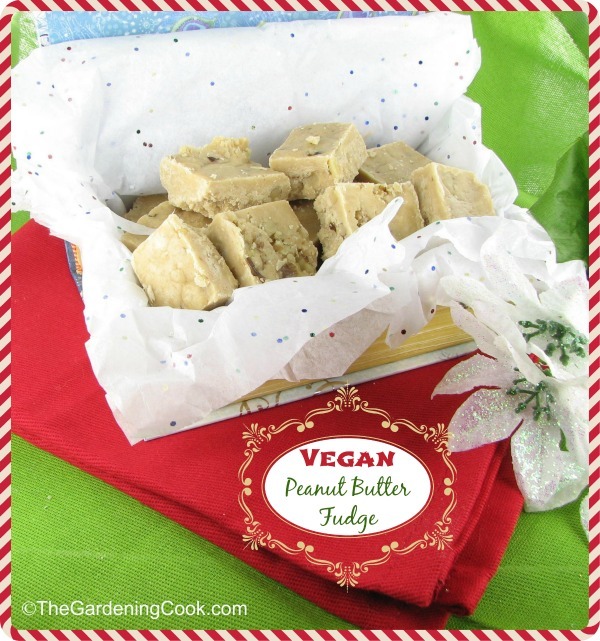 Everyone loves peanut butter fudge but making it for vegans can present a challenge. Not with this recipe though. It is rich and creamy and so easy to make. When it snows, the kids will race outdoors to make a snowman. 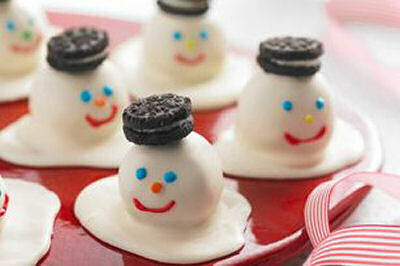 Indoors, wow about treating them to these adorable and delightful melting snowmen cookies? 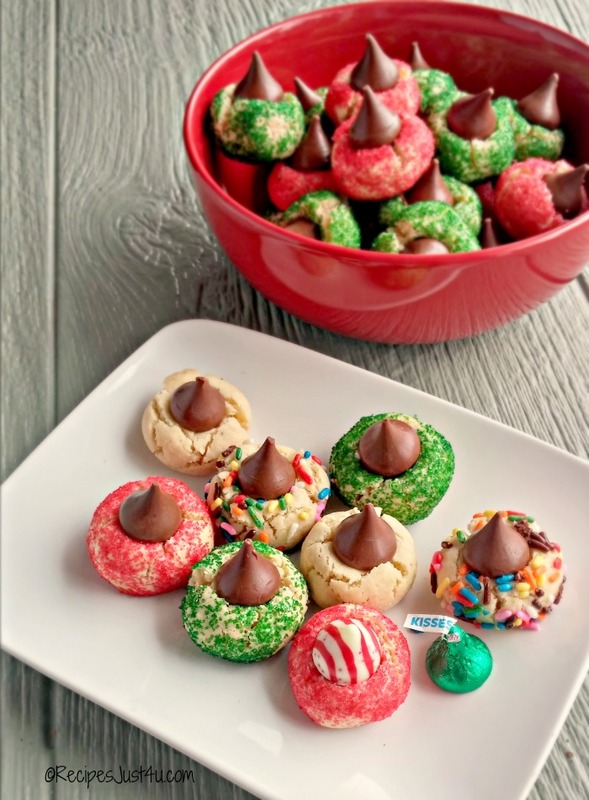 The kids will not be able to wait to sample these Christmas sweet treats from Kraft Recipes. These festive holiday Kiss cookies are an adaptation of one that my sister used to make for Christmas each year. They are very decorative, so easy to make and very very tasty. Get the recipe here. A Christmas angel is on the top of many Christmas trees. 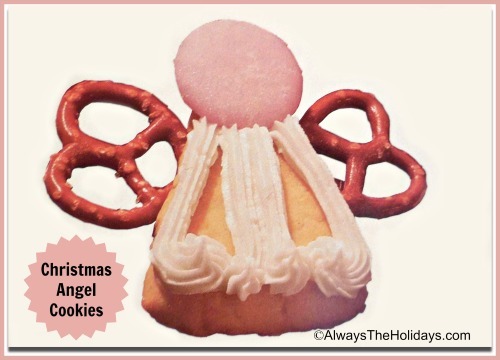 Let’s bring one to the dessert table with these delightful angel cookies with wings made of small pretzels and wafer cookies for the head. They will remind us of the reason for the season. Get the recipe here. 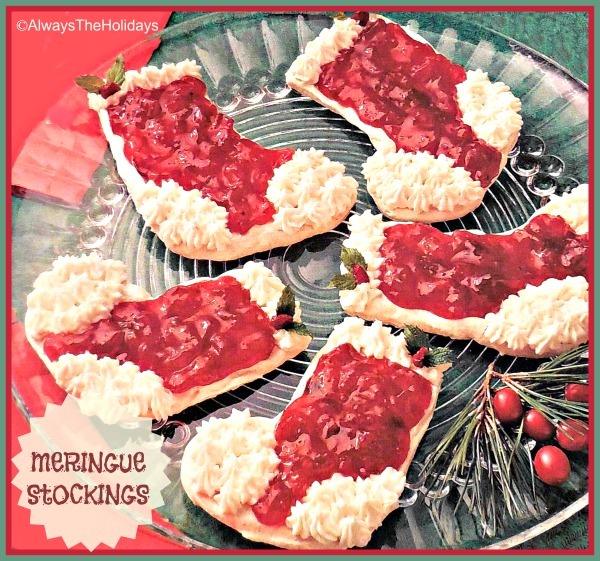 Fresh cranberries, mint leaves and sugar combine to make these delightfully decorated Christmas stocking cookies that are perfect for a cookie swap. 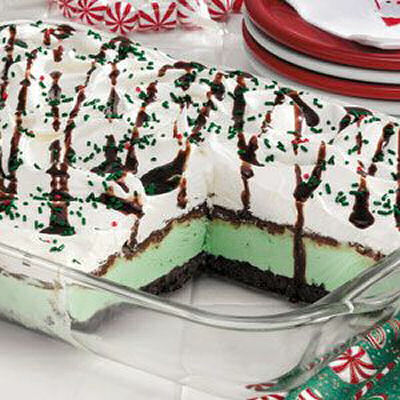 Everything about this delicious festive mint cream dessert spells out Christmas. I’m a big fan of mint desserts, so this one from Taste of Home is a keeper. 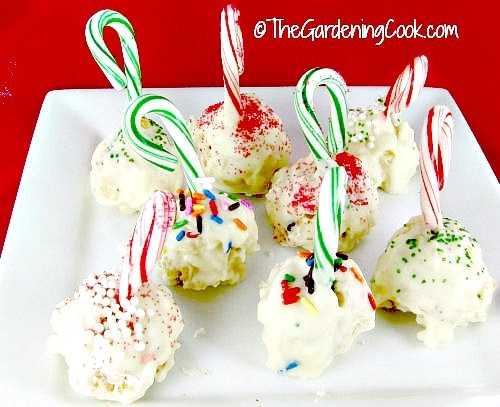 Funfetti cake mix and and Holiday M & Ms combine to make the most delicious Christmas truffles ever! See how to make these decadent Christmas sweet treats here. Get out your cookie cutters, some ribbon and a sugar cookie dough. 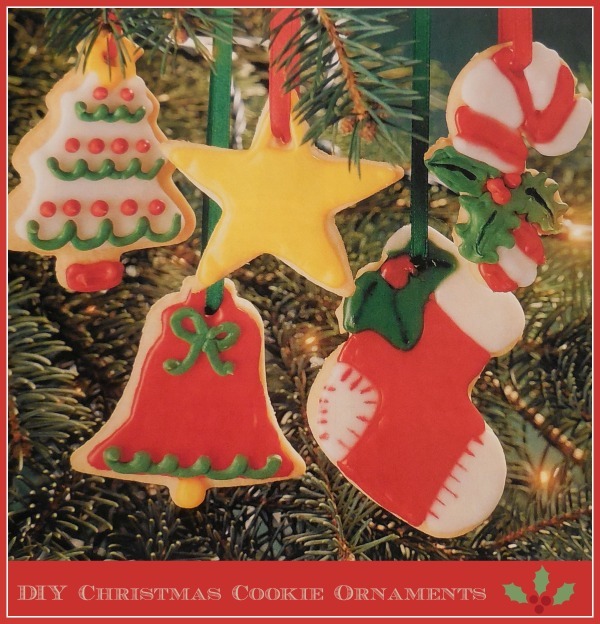 When you put them all together, you get these edible Christmas cookie ornaments. What fun they are to make! 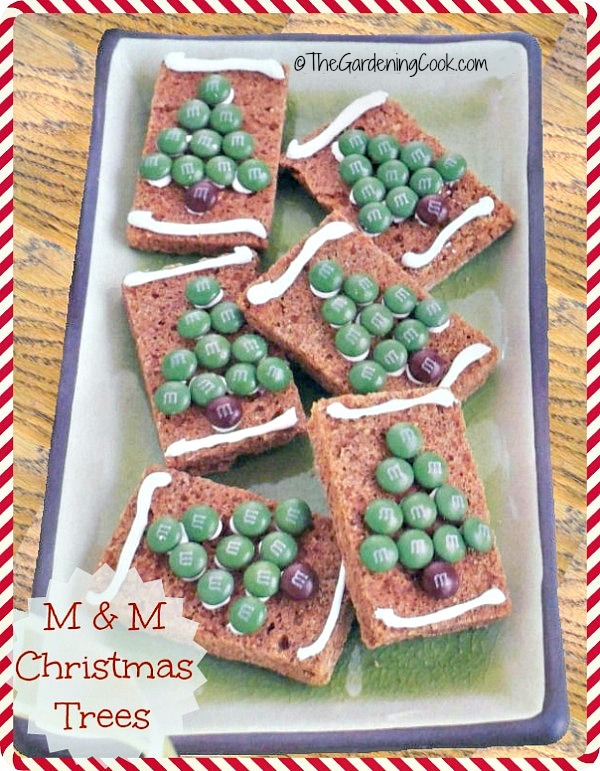 All you need to make these super easy Gingerbread Christmas tree bars are a packaged cake mix, a bit of frosting and some M & Ms. Get the recipe here. Milky Way Teddy Bear Sleds. Christmas Ornament Rice Krispie Treats. Buckeye Fudge – A holiday favorite. Creme De Menthe Cheesecake Cookies. Stained Glass Christmas Tree Cookies.